They just keep getting better and better! Almost exactly one year to the day after cruising on the wonderful Explorer of the Seas we found ourselves on the even more spectacular Navigator of the Seas!!! 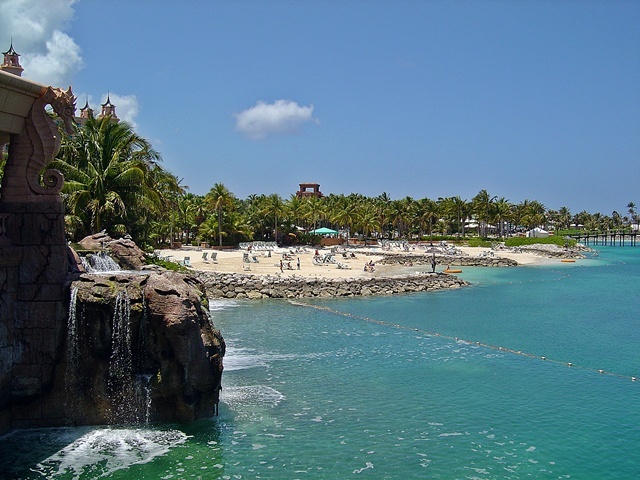 This cruise, slated informally as our "20th Anniversary Cruise" (even though the real date is in August- we don't want to be in the Caribbean in August due to possible hurricane activity), we were joined by a large group of family and friends. From the friends crowd, we finally got to cruise with Craig and Debbie Rosas (Craig and I have been talking about going on a cruise together since 1994!) and our close friends Steve and Kim, who we cruised with last year on Explorer of the Seas. From the family, we cruised with Mom and Jim McGuirl, Dad, Pat and Mac, and Lois and Joe. In all aspects, Navigator of the Seas was an improvement over the Explorer- she's newer, has more glass (especially appreciated on the balconies! ), more dining options with food that's in many cases much better and overall she's just prettier. Now, this isn't to take away from Explorer- I'd sail her again in a heartbeat. But Navigator would definitely be my choice if I had to choose between these two ships (and any Voyager class ship would be my choice over any other ship type that we've sailed on). 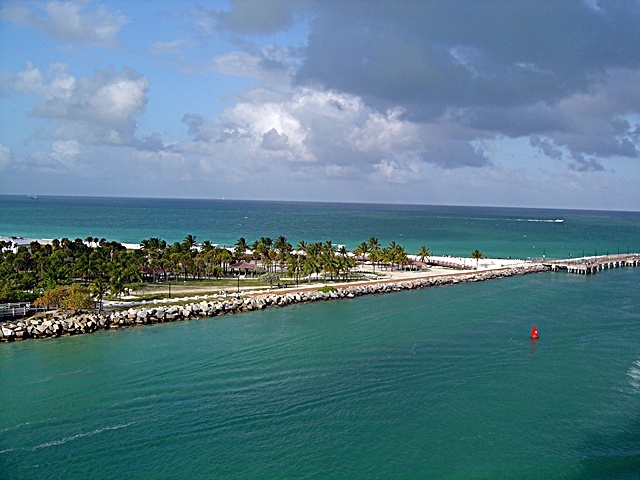 Our itinerary was the western Caribbean- from Miami, we headed for Nassau (in place of Labadee, Haiti due to the conflict on the island) then we had a day at sea followed by a day at Jamaica, a day at Grand Cayman, a day at Cozumel, another day at sea, and finally our return to Miami. 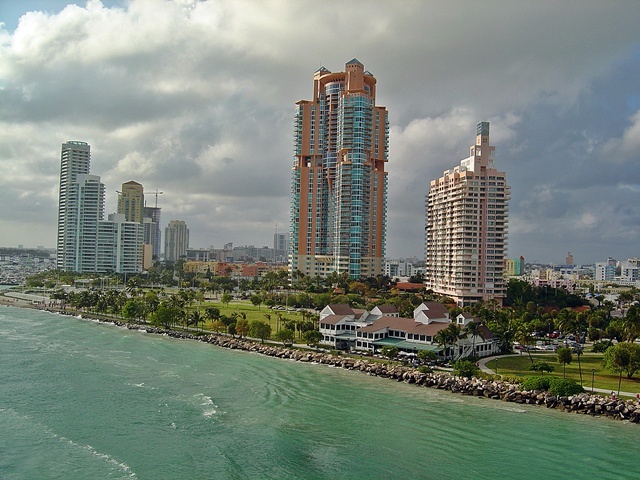 As we departed Miami, I remember crowds along the water way cheering, and cars honking their horns! It was an excellent send-off... like no other I'd seen before! Navigator "Wow"ed even the Miami crowd! Departing Miami (and looking aft) down the water way to the ocean! Atlantic Ocean, here we come! 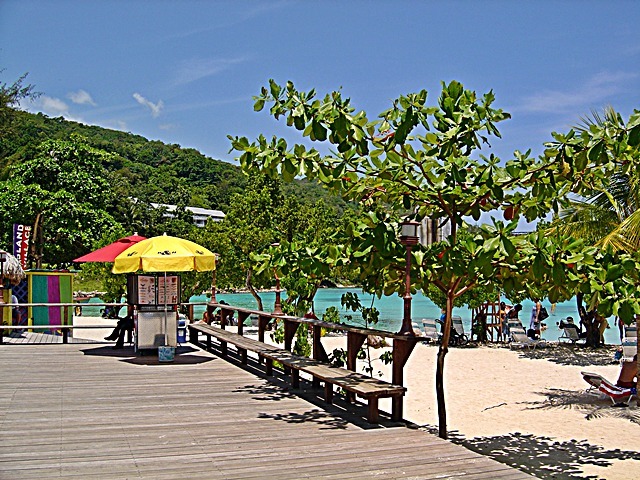 Island Village, Ocho Rios, Jamaica... right next to the port. While in the Cozumel port, an interesting thing occurred... we were in port at the same time with Carnival's MS Holiday, our very first cruise ship (see review)! We took the cruise on Holiday to celebrate our tenth anniversary and our itinerary was almost exactly the same then as now but in reverse order! (and without Nassau) And now here we were docked near Holiday, one of the smallest cruise ships by today's standards (she was considered mid sized back in '94! ), on our beautiful Navigator of the Seas! Also of interest, docked right between Holiday and Navigator was Carnival's MS Inspiration (see review), definitely the prettiest of the Carnival ships we cruised upon. 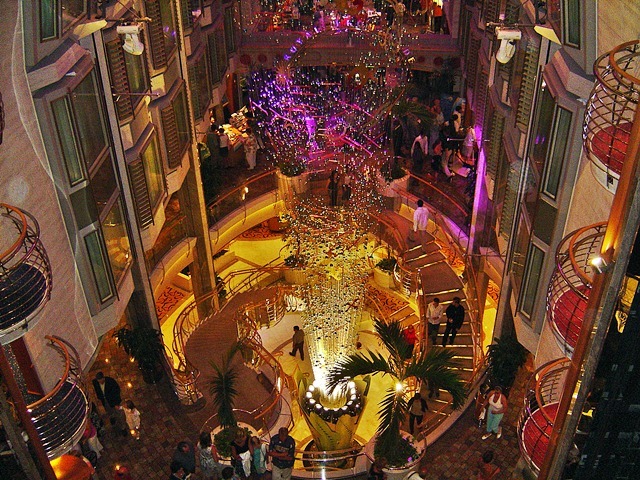 With very little in the way of changes, Inspiration definitely would fit into the motif of Royal Caribbean. 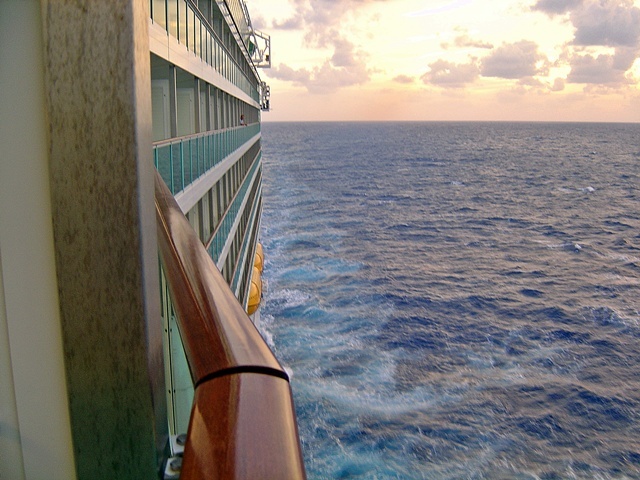 She's definitely every bit as pretty and well-appointed as Majesty of the Seas. So it was very fitting that our last port of call before the return leg to Miami had us docked next to some old "friends" who'd treated us so nicely in the past. I do have a warm spot for all the ships we've been on... and it's good to still see them out and about. View from our balcony on the "bump-out"... always the best balcony cabin to have! From beginning to end, this cruise was full of laughs, great food and great fun. Diane and I were truly lucky (as I think we all were) to have such a diverse and cohesive group. I will always have a fond memory of this fantastic time we had together during the first week of May, 2004! Update 2009: as fate would have it, this was the last cruise Mom got to take with us... she would pass away suddenly at the end of 2004. 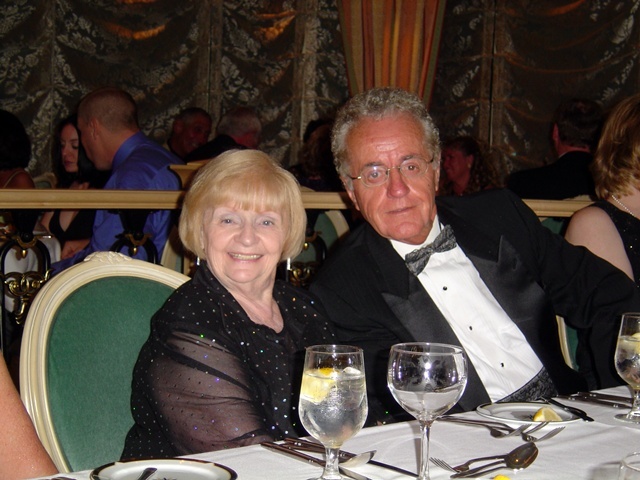 She won a free cruise at bingo on this cruise which she never got to take, but had planned for before she died. 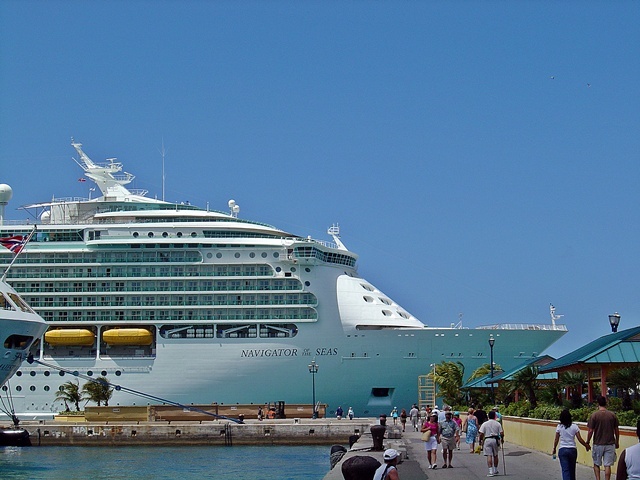 That cruise was to be upon Jewel of the Seas (see review) and her plan was to take my sister Pat who had taken Mom on so many trips over the years. Royal Caribbean was kind enough to let Pat and her husband, Mac, still go forward with this cruise anyway. I will always be grateful to Royal Caribbean and to Karen Beldner (our extraordinary travel agent) for their assistance during this difficult time. Mom and Jim dressed to the nines on formal night in the main dining room!